this is printed with black ink, gold ink and the names foil stamped. this price with foil stamping is for names only like a sample, if want bigger area we will price for you. 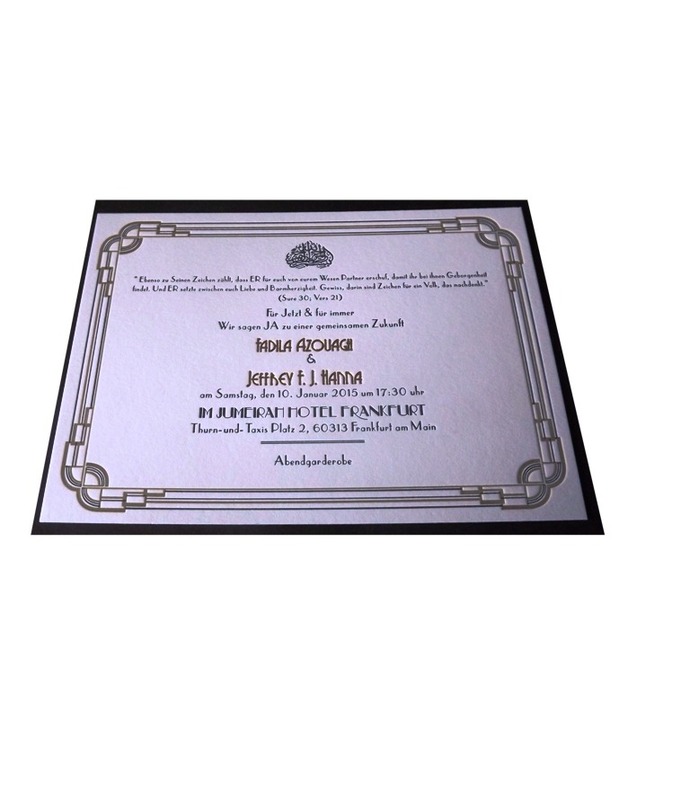 this invitation is 190mm x 120 size. includes envelope which will be digitally printed with your guests names for free samples of our work contact us on 0405 834 951 or email impressive.inkreations@gmail.com or use the contact page on the website.